~Since the Harvey Weinstein scandal of late last year many well known actresses have come forward to speak about either being personally affected or in loyal solidarity of their fellow female stars. This soon paved the way for a monumental time in not just the film world but in many sectors of the mainstream industry such as in politics and music. 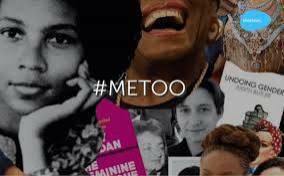 It was given the title ‘Metoo’ in recognition of those that had been affected and a radical march was introduced the ‘Metoo Movement’. It’s good to know that locally here in Preston people can show their support in what is widely being reported as an unfortunate thread that is flowing throughout the entertainment and political world. On Monday 9th April between 6-8pm at Livesey Café on the Ground Floor of Livesey House, 6, Heatley Street, UCLAN is a quiet contrast to the uproar that has circulated since the Weinstein scandal. A ‘Metoo Poetry Anthology Launch Event’ is taking place. It’s an opportunity to see some moving poetic works performed by new and established writers. There will be four poets in total who will stay after the reading for Q and A’s. Books will also be on sale and all proceeds will go to Women’s Aid. All are welcome. It is free to attend and no ticket is required.